BOSTON– TiE Boston President & Venture Capitalist Nilanjana Bhowmik says that no other conference in Boston comes close to the quality of speakers and depth of discussion than TiECON East, which will be held on May 7 at the Westin Boston Waterfront hotel and will feature Artificial Intelligence as Digital Health as a central theme. In an exclusive video interview with INDIA New England News, Ms. Bhowmik, who heads Boston’s latest woman-lend venture capital firm Converge and is the first woman to hold the office of the president in the organization’s 20-year history, says TiE Boston’s signature event TiECON East is the place to be on May 7. To watch the full interview, please click here or on the image below. Click here for more information. INDIA New England readers can take advantage of code INE15 for a 15% discount on tickets to TIECON East 2019. TiE Boston connects tomorrow’s founders with today’s entrepreneurs, executives and venture capitalists. 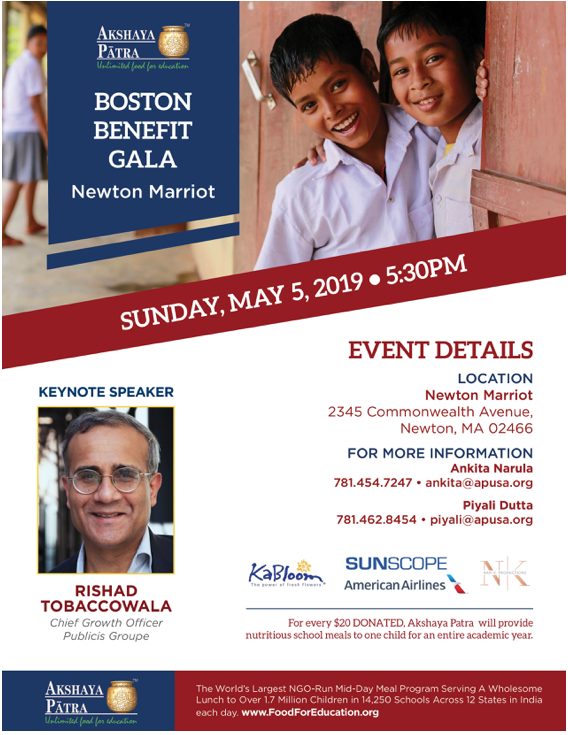 Founded in 1997 by entrepreneurs who immigrated from the Indus region, TiE Boston champions inclusion in innovation by blending the fundamentals of entrepreneurship with traditional Indian values that place importance on community, mentorship and long-term relationships. TiE Boston is one of the region’s largest and oldest organizations supporting the Massachusetts entrepreneurial ecosystem, focused on supporting entrepreneurs throughout their lifecycle — from ideation to creation, through growth, wealth creation and ultimately, support of future founders.